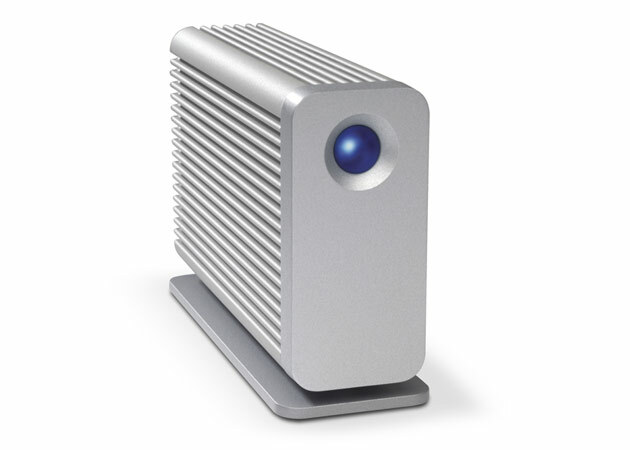 LaCie’s Little Big Disk Thunderbolt Series is now available for purchase. The new Thunderbolt drives feature a pair of 2.5″ drives in a Mac OS RAID configuration and deliver speeds more than 480MB/s in SSD and up to 190MB/s in HDD. You can even daisy chain multiple Little Big Disks together to increase overall transfer rates. The more products you chain together, the higher performance you get. Daisy chain four Little Big Disks with SSDs to maximize Thunderbolt interface capabilities and reach transfer rates of up to 870MB/s (up to 782MB/s with the 7200rpm disk drives). These drives will initially be available in 1TB and 2TB flavors for $399 and $499, respectively. Right now you can find the new Thunderbolt drives at Apple stores, but you should be able to find them soon at online retailers like Amazon and B&H Photo as well.